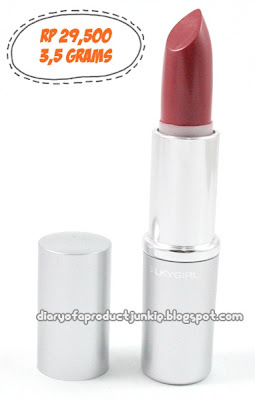 Hello, lovelies~ I have been on the hunt for an affordable lipstick that does the job for everyday use. My first thought immediately goes to SILKYGIRL because I adore their pencil eyeliner. I wear it everyday to achieve that natural yet defined eye look, but I digress. Let's just move on with the review, shall we? The lipstick is packaged in a silver twist packaging, typical as most lipsticks are. It may feel a little dodgy, but nothing so much that it bothers me. It may look cheap, but then again, it is Rp 29,500 . On my lips, the lipstick felt moisturizing on its own without any lip balm underneath. I tried using a lip balm for comparison, but the finish is too shiny for my liking. 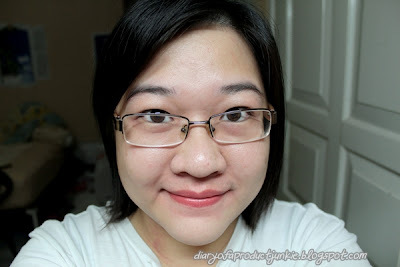 Anyway, the lipstick has quite a pigmentation for an affordable product. One swipe and I can already see the color evening out my lips. As for the staying power, it will be gone after a meal, that is to be expected with most lipsticks. However, without a meal and consistent "no-licking-lips" policy, it lasted for two hours or so on my lips. Maybe I still lick my lips unconsciously. Due to its creamy and moisturizing consistency, this lipstick transfers onto the rim of the glass if I am drinking. Looks natural on my lips, perfect for everyday. Overall, I liked the affordable and moisturizing property of this product, but the shades to choose from are very limited. The pigmentation of this product deserves two thumbs up from me. 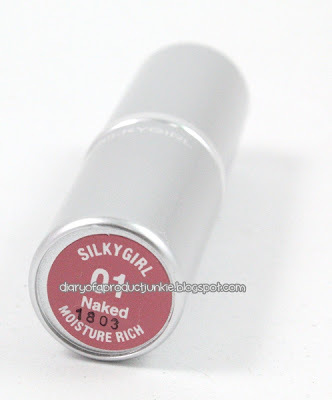 For an everyday lipstick, this item is worth repurchasing for me. Kalo tekstur sih enakan SG di bibirku. Maybelline akhirannya agak ngerinfin di bibirku -_-! aku juga punya yang no.28, sensual, enak, bibir jadi lembab gitu. Ak pk 02. . Hhii. ..